Is it time to move again? And who can you trust with your precious belongings to provide you with the best value service? Look no further than MoverManiac to safely move your furniture and goods to or from Luxembourg. Whether you’re moving up a few floors, across town or relocating to a new office on the other side of the country, the MoverManiac removals team has the resources, experience and flexibility to get the job done. Just contact us! 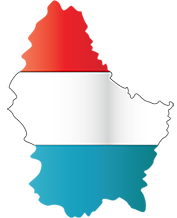 MoverManiac is your local small move specialist in Luxembourg. Whether you’ve got a whole bedroom of stuff, or just a bed, MoverManiac has the man and van for the job. MoverManiac did a splendid job for us. They managed our considerable move very smoothly, without any loss or breakage. And they kept their good mood throughout! We can highly recommend them! It was also a pleasure doing the move with MoverManiac, everyone was kind and very efficient. It made the move all the better and I confirm, I’m very happy in my new home! Kind regards and I will keep recommending your services as you guys are really the best! Your service was outstanding. A great attention to detail and kept me informed all along the process. You also showed some incredible patience as my moving details where changing all the time. You made a very difficult experience very easy. You are able to show the Luxembourg market what customer care is all about. Well done to all! For a hassle-free move, fill in the estimate form and we will contact you shortly!